Made these last weekend. They were a MAJOR hit with all the eaters. I was looking around for a raw chocolatey dessert since I was at home (no oven) and fortunately stumbled across this recipe on Mind Body Green! They are exceptionally easy and incredibly yummy. I wanted the chocolate coating to act more like a hard shell (easier to transport). But check out the original recipe for instructions on how to make the chocolate more soft. In a food processor, combine dates, nut butter, and salt until smooth. Chill in the freezer for about 10 mins until date mixture is somewhat gummy and firm to touch. You want it to be less sticky for rolling. Roll into 1 inch balls (you may want to wet your fingers a bit to keep them from sticking. Place the balls on a plate and freeze/chill again. 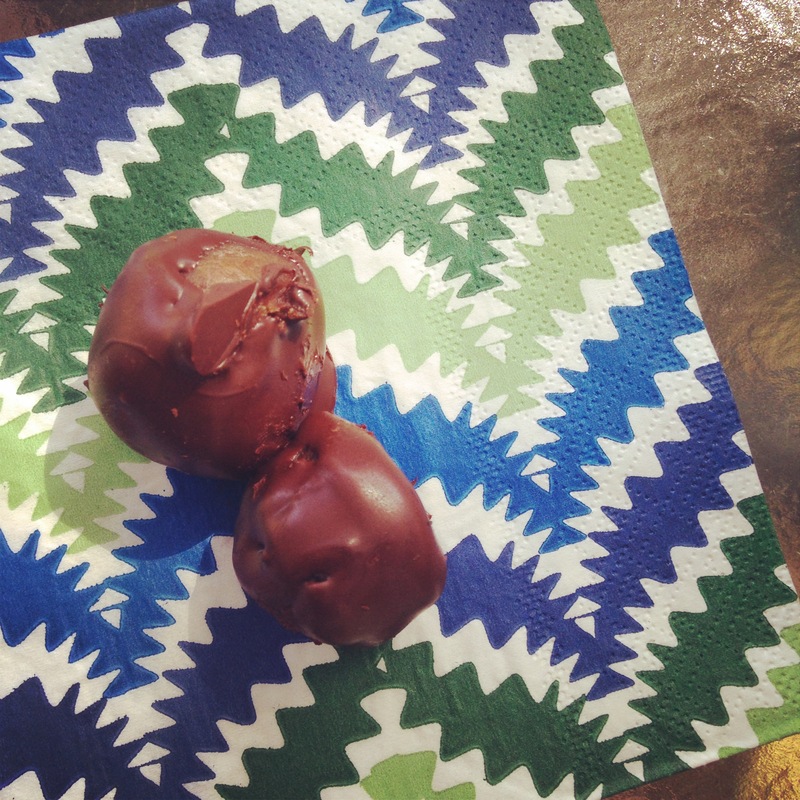 In a double boiler or microwave, melt your chocolate and use a toothpick to dip the chilled balls into the chocolate. Coat completely and place on wax paper .